We wanted to let you know of leadership developments at the church in Kampala, as well as a testimony from the same. There is also an opportunity for us to share in supporting persecuted Christians from Syria and Iraq. Thank you for staying with us. Please continue to pray. Thank you for praying over our strategic meeting in March. You will recall from our last newsletter, that Nigel said he felt “it’s time to transition into a new phase of leadership at the Church.” This was presented and discussed, and a search plan begun. In this process, and after much prayer and discussion, the Church Board and elders have agreed that we should look for another person to join the team as an associate pastor; to bolster the pastoral ministry; enabling Nigel to concentrate on ministry areas where he excels, such as leadership development, church planting, teaching, training, and to take a broader oversight role. The person will come with complimentary gifts and skills to facilitate our primary objective – the growth of the Church. We are taking this step of faith to strengthen the church. Please pray with us, Darren & Susan, that God would lead us to the right person. We are seeking a person who has a sense of calling from God to participate in church-based, transformational mission, in urban Africa. Someone who warmly and passionately shares their faith-based convictions, is instinctively missional, has strong leadership qualities, and relishes the prospect of serving in a team, growing new leaders, and who would be ready to lead a church themselves in the future. Follow the link to download the ad, or email us to request an application form with further information. You might want to share this information with someone you know. Please be in prayer. Thank you! Some people are real gems in the house of the Lord. Teopista (pic above) is one of them. She came from a mega church to visit One Life in 2014 and heard of an upcoming baptismal service. She got baptised and then plunged herself into the life of the church. She serves in various capacities, including on our Welcome Team as an usher; in the Children’s Church as one who comes early to help set-up everything in our rented location each Sunday; she serves in our hospitality ministry; and is a member of the Clan 18-30 team, which ministers to young adults in the church. She is also a faithful attender at one of our midweek Life Groups. Teopista is the eldest daughter in a very poor family, where her father parents alone and is an alcoholic. 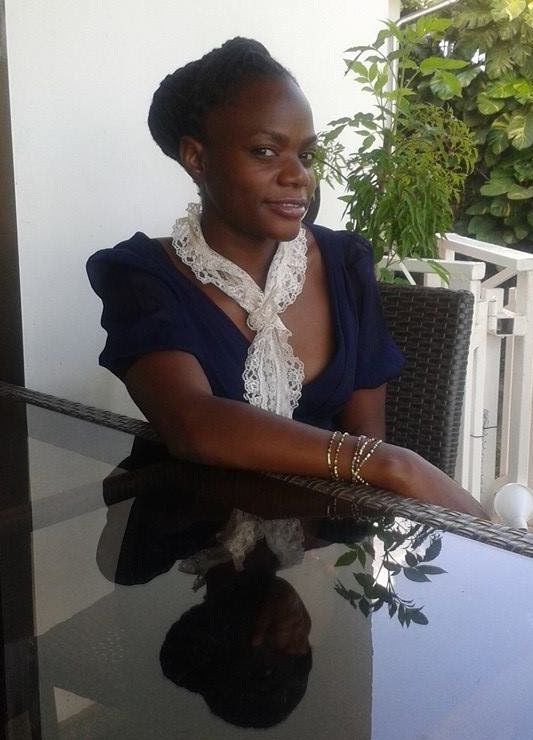 She lives twelve miles out of town with her younger sisters, whom she “mothers” and supports through school; and she commutes daily in a Matatu to her job in the heart of Kampala, at a 24-7 bank call centre; a job that doesn’t pay too highly, and changes her shifts like the weather. She is very compassionate, with a strong social conscience. 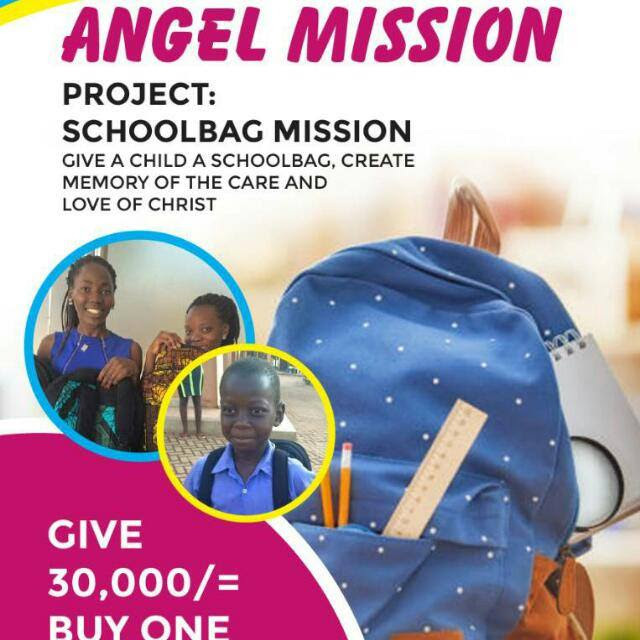 She started a ministry called Angel Mission Ministries, through which she has personally initiated various outreach projects to support vulnerable people; including destitute grandmothers (called Jajjas) in rural areas, who are visited with a food hamper and a word of encouragement; and assisting children in need of a school bag at the start of term (this pic. is of her latest campaign). We recently helped her to attend a Living Wisdom intensive counselling course, which revived her sense of calling to counselling, started by a different counselling course she attended. She wants to serve the Lord in social action and counselling. God really ministers through her and she has the determination to find fulfilment in his service. We thank God for Theo. Pray that new doors open for her in areas where she would thrive. It’s still early days for our self-sustaining travel initiative; a destination management company. If you are aware of anyone to whom you could refer us for a quality safari, please let them know. We offer experience and a high quality service. We can arrange spiritual safari tours, with a visit to a faith-based project; or a bolt-on short stay to round-off team trips; as well as full-on luxury holidays. All enquiries are welcome, with no obligation. God’s creative power can restore our souls, beside the quiet waters. Uganda is gifted by nature, and really understated; hosting some of Africa’s most awesome wildlife, with a lush, fresh environment, amazing cultures, and beautiful people. Come and See! Support MattersWe trust in the faithfulness of God and his expression of this through generous people. We are honoured if you have chosen to partner with us and support this mission to the African Church. Our role in the establishment of One Life Church does not alter the self-supporting nature of our occupation. Your partnership remains crucial to the continuity of our ministry. We continue under the auspices of Missionary Ventures, who are fully behind what we are doing. May God truly bless you for partnering with us, for His glory. If you would like to partner with us, either by a single gift, or regular donations, there are various ways to do that. You can find options by going to online giving. You can also write a brief note along with a cheque, payable to “Missionary Ventures” and send to the address below. Always specify your gift’s intented purpose. Your gift can be enhanced by downloading and completing a Gift Aid form. For any clarification, you can contact Missionary Ventures Great Britain.